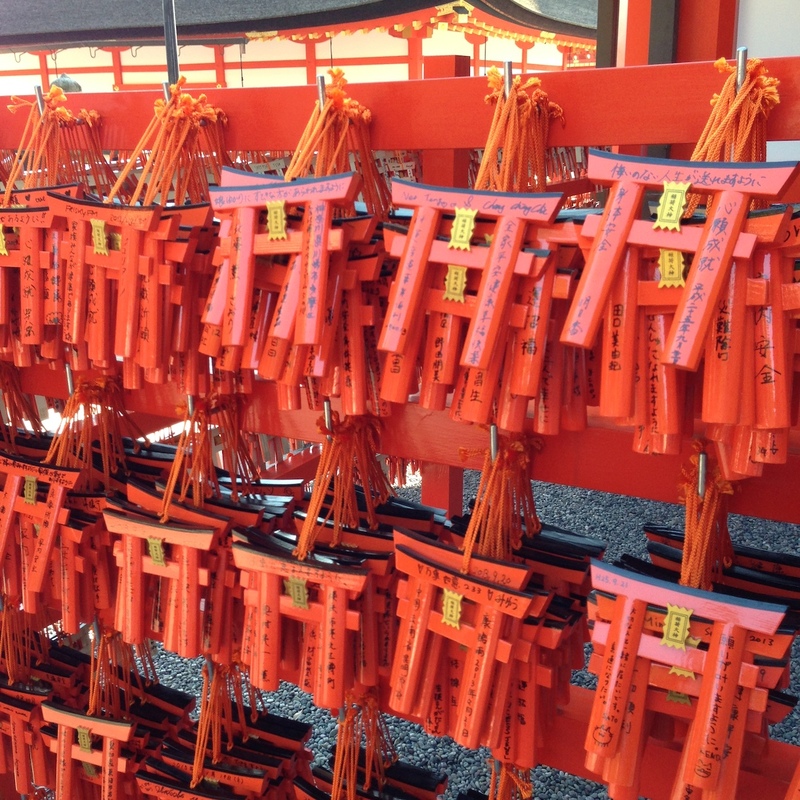 There are more than 30,000 “Oinari san”, Inari Shrines in Japan. They have a red Torii gate as the entrance to the sacred area and statues of white foxes, which are messengers from “Inari”, the shinto god of harvest. 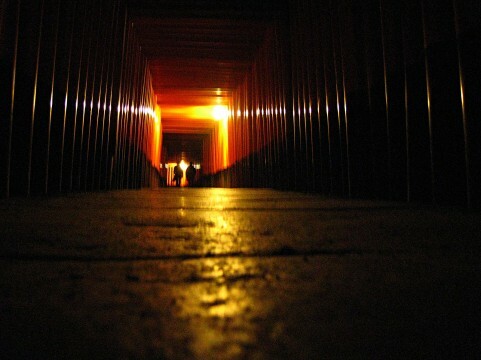 Fushimi Inari Taisha in Kyoto is the head shrine. 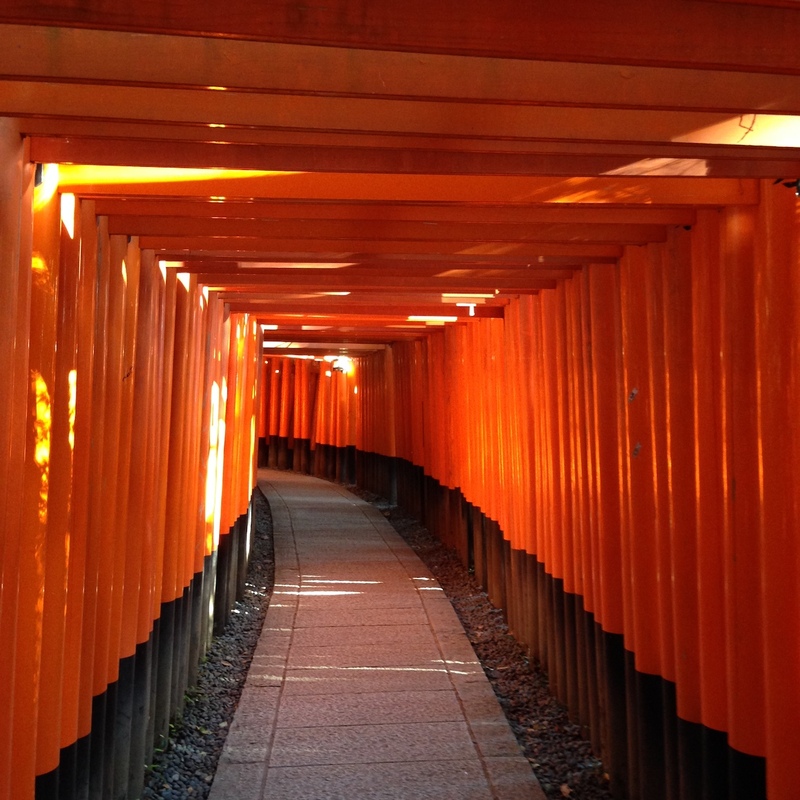 It is famous for the thousands of Torii gates that line the pathway all the way up to the sacred Mt. 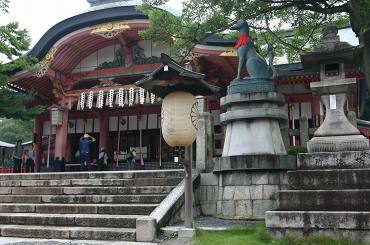 Inari – a scene featured in the movie “Memoirs of a Geisha”. 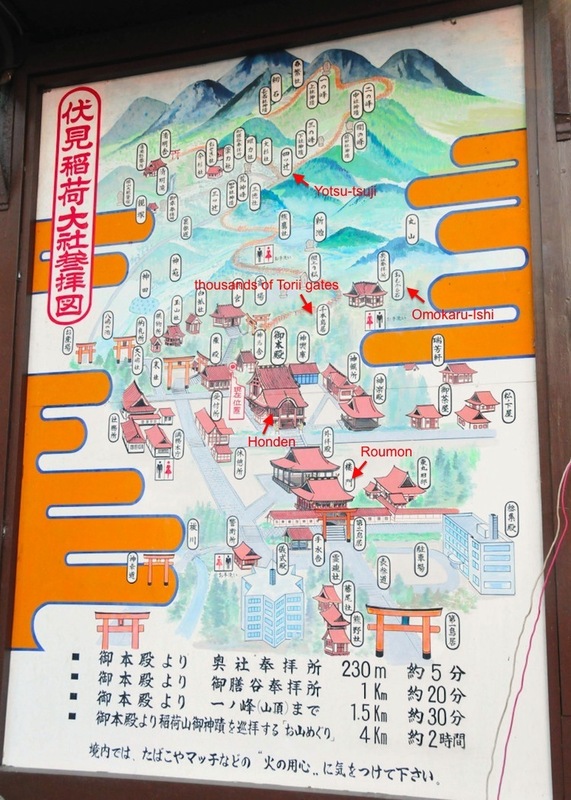 These gates have been donated by people and companies who have wished for a good harvest (a financial harvest) since the Edo period, more than 300 years ago. 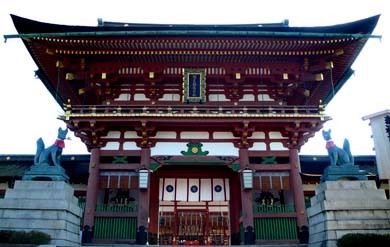 This shrine was established in 711, with the main shrine that we see now, built in 1499. 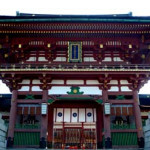 The main gate “Romon” was built by a famous samurai General Hideyoshi Toyotomi in 1589. 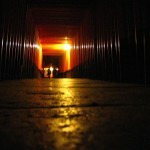 It was late afternoon when I visited Fushimi Inari, making my way up through the gates shining in the afternoon sun. 40 minutes into my journey I reached Yotsu-tsuji (a well known intersection on the walk way) where I witnessed the sun setting on a picturesque Kyoto, breathtaking. The red lanterns lighting the pathway for my way back, provided a traditional Japan moment, peaceful and yet eerie feeling. 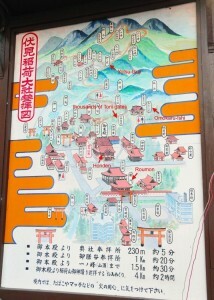 If you hike all the way to the mountain peak it takes 2-3 hours. 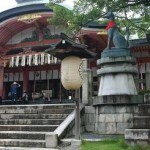 Along the way, there are multiple smaller shrines, and restaurants which serve symbolic “Inari food” Inari sushi, and Kitsune Udon, both have Aburaage (fried thin sliced Tofu) which is thought to be a favourite food of foxes. Don’t forget to wear comfy shoes and visiting out of the hotter months, will ensure everlasting memories. 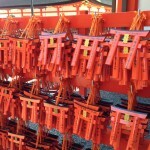 ACCESS: In front of JR Nara Line Inari station, which is 5minutes ride from JR Kyoto station.